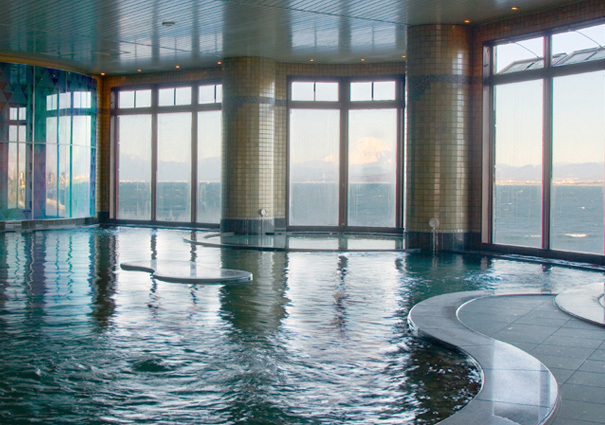 Japanese Onsen resort with the view of Mt.Fuji – Jarman International K.K. Nothing better than a warm onsen bath on a cold winter day! The view of Mt Fuji from Enoshima Island Spa is especially good in winter. 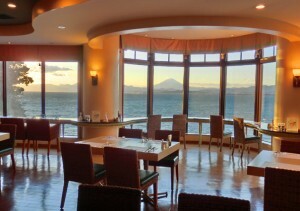 You can watch the sun set behind Mt Fuji while you take a warm bath or dine at the restaurant Island Grill. 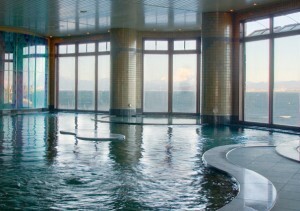 The Enoshima Island Spa is bolstering its image as a “ Japanese onsen resort with the view of Mt. Fuji”, and identifying itself as the number one resort destination in the greater Tokyo area, complete with hot spring (onsen), healthy meals, exercise courses, relaxing aroma therapy treatment, Shiatsu massage experience and an all-around pleasant destination for tourists and residents alike. Making your way to the cultural power spot, being healed by the expansive Shonan coastline and Enospa therapy, it will be truly a luxurious day to yourself that you won’t soon forget. Enoshima healing power gives you a sense that tomorrow will be a different day, that tomorrow you can begin anew and rejuvenated. We would love for you to experience the powerful day of healing. In addition to Trip advisor review site as well as the Enospa facebook page, our English landing page can give you a good idea of what to expect at Enospa, and put your inquiry and research in the right direction. Please also take a look at Enospa Photo Gallery. They will help you to get a better feel of what Enospa is like! You have access to the Hot Spring, heated pools (don’t forget your bathing suit), relaxation room, a Spa robe and towels for your time in the spa. Massages or other treatment packages, etc. would be separate and we recommend making reservations by email in advance. Give yourself a day off, and experience the holistic healing for yourself.